Have a lot of PDF files that need to be converted into JPEG format? Wondering how to go about with it? Worry not for we have a solution to your query. 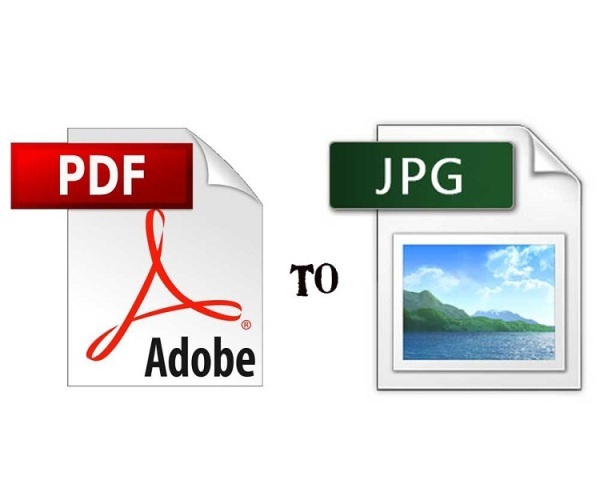 Check out ways to convert PDF into JPEG. Are you a computer savvy and work on different file formats? In current scenario, computers have become an extremely essential part of our lives. You can store a large amount of files in the computer these days and for this, various formats are available. These file formats offer great storage in lesser space, and also protect the quality of the files. Out of the whole range of formats, PDF and JPEG top the list. They both are highly famous on web world too. While PDF can save any kind of information, JPEG is widely used to save images. Many a times PDF files need to be stored in the image form, or the JPEG format, which brings forth the question as to how to save a PDF file in a JPEG format. Against the popular notion, converting a PDF file into a JPEG one is a very easy task and can be done using either a software or online. If you have PDF file and want to covert it into an image, then these procedures can help you out. Learn ways to convert PDF into JPEG. You can download the file conversion software from the internet; most of the websites offer free download. But make sure you download from a good website only, as the quality of the file may get reduced in case of bad software. For the same reason, it is always good to get nice software that converts text and image files. Install this software in your computer. It has different applications for different interface, but the standard one remains the same. Open the desired PDF file in the interface of the software. Next, select output format to JPEG and click on “Execute” button. This method is efficient if you don’t have internet connection in your computer. This is the best method for those who have internet connection in their system. All you need to do is browse the software in search engines and you will get million websites offering file conversion facility for free. These websites are not only restricted to text and images, but also offer file conversion for audio and video. It takes only few minutes to complete the whole process. Select any website and open the desired PDF that you want to convert, select the output file format which is JPEG in this case. Then enter in your e-mail address. When you click on “Execute”, the file gets converted and is sent to your e-mail account. The e-mailed file will be in the JPEG format. With PDF viewing software, open your PDF file which you want to convert. In case you don't have a PDF viewer, download Adobe Acrobat Reader for free from adobe official website. Open the snipping tool present in the windows. Click on the “new” option and choose the screen type. A “window” screen shot will select all the text from your PDF file. A “rectangular” screen will allow the user to drag over all the desired part of PDF to turn into JPEG. Then select “save as” from the “file” menu present in the “shipping tool”. Your PDF file will turn into a JPEG file. You can also carry out conversion through Macintosh, select preview application. Open your desired PDF file in the “preview” the PDF viewer application that comes with OS X. Preview save as menu and choose the file as “JPEG” in the drop down menu and click “save”. With these simple ways to covert PDF into JPEG, you can easily turn your PDF text file into a JPEG image in a very short span of time.